Until my daughter was born, my own death was the scariest thing in the world. It's a surreal and almost unacceptable concept, the idea of ones own mortality, and until that life changing day back in October of 2007 it was the most haunting and unsettling thought I could have. When I heard her first cry, when I saw her tiny face and hands and feet, when I held her for the first time, nothing was more beautiful and yet terrifying at the same time. She was a person that would live her life in the same world I had occupied for 23 years at that point, a world full of hate and anger and judgement and bigotry and violence. A world where a day doesn't go by without someone committing unthinkable actions to an innocent life simply trying to go about their day, a final breathe taken but unappreciated because in a just world there would be millions more to follow. I had only known her for minutes, and yet I was more in love than I had ever been before. Any selfish concerns I had quickly melted away, but what replaced them was even more troubling than before. I was literally holding her precious life in my hands and from that moment forward I have been petrified to let my guard down, to let go and leave her vulnerable to an unforgiving world. 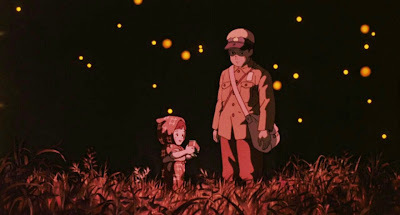 Grave of the Fireflies is one of the greatest efforts in the rich history of Studio Ghibli, and that is saying something. Drop the word animated, it's irrelevant and demeans what I am about to say as it is often times looked upon as inferior to live action cinema. Grave of the Fireflies is one of the greatest war films ever crafted, a true masterpiece in every sense. Despite the backdrop of war and the fact that its impact on an entire region is central to the story, at the heart of this film is an intimate tale about two kids trying like hell to survive at a time when doing so is challenging to say the least. Hardly a day goes by without the warning sirens echoing through every corner of town, a harrowing sound that forces innocent people to flee their homes in a desperate search for safety. 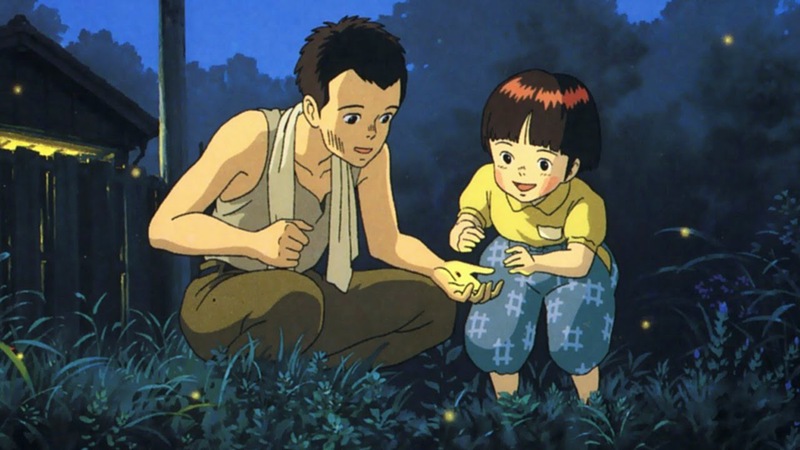 Surrounded by death and dealing with a shortage of food, teenager Seita and his young sister Setsuko may initially just be fictional animated characters but as the story develops they feel more and more human before our very eyes. I believe the reason for this is because while they may be a work of fiction, what they represent is unfortunately not. When war is declared, bombs are dropped on general areas taking with them far too many lives undeserving of such devastation. Even if they survive the attacks, the normalcy of their lives and their means to continue on are destroyed. For every bad guy that perishes, the hope and purity of a child is taken from this world and I can't think of anything more heartbreaking. It literally makes me hurt inside, to think of a little girl like Setsuko wondering where her mother is, forced to find any form of shelter to protect her from the outside world. The body of a child falling apart with each passing day without food. As tears fell from my eyes, I imagined my own daughter under such circumstances, crying out for help with no one there to provide it. The thought destroyed me. I wanted to reach through the television and help Seita and Setsuko as if they were my own. I wanted to remind them just how beautiful the fireflies are to take their minds off of the anguish of reality. 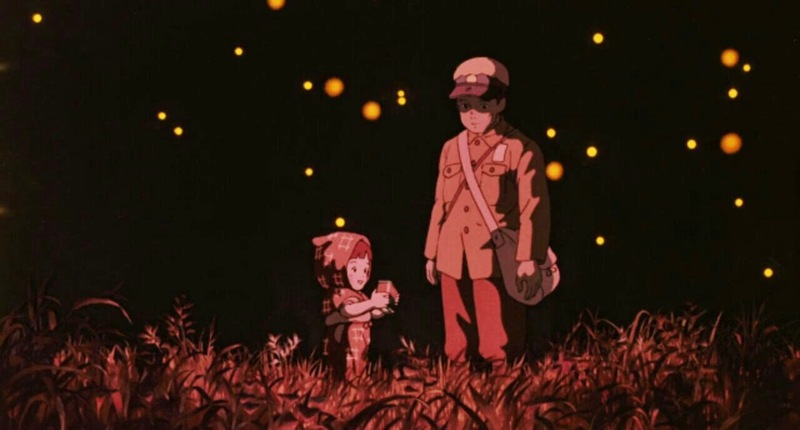 Grave of the Fireflies is such a powerful achievement I couldn't even fall asleep for a while after it was over. I was still mourning the loss of fictional characters because somewhere behind their hand drawn artistry stands real people struggling to stay alive. "Why must fireflies die so young?" My heart is broken, but my eyes are wide open. 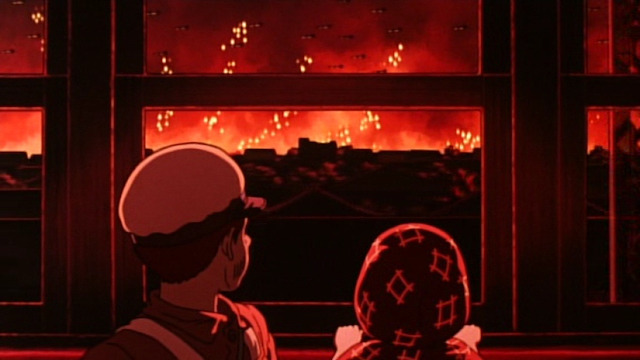 Grave of the Fireflies is extraordinary. Beautiful, honest and very personal review Mr. Scott. Thanks Asif! I really appreciate that. I figured since I knew you were a huge fan of the film you might want to take a look at my review. Very kind of you to read it and give such positive feedback. I never heard of this movie but reading your review makes me want to watch it and I will definitely watch it. Glad to hear it, that's a wonderful compliment that I made you interested in it. It's a heartbreaking film but totally worth it.